The boyfriend and I treated ourselves to a date night at one of my favorite eateries in H-Town, Mala Sichuan! But this visit would be a new adventure for us! 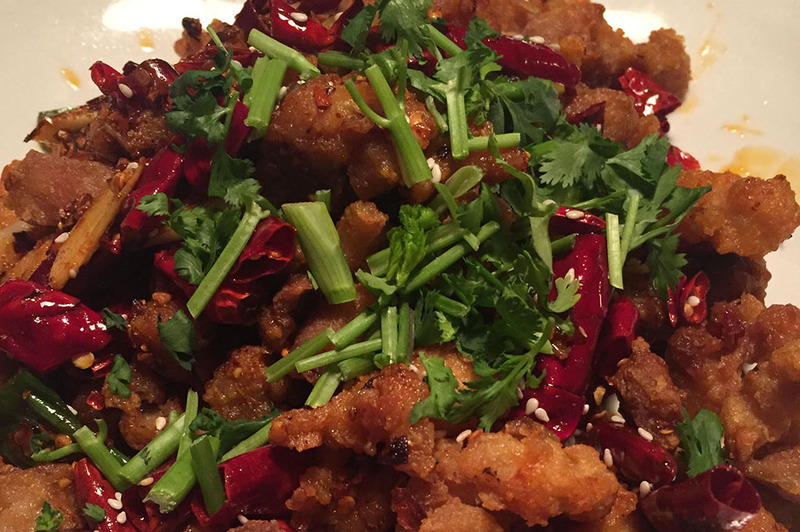 Because of the overwhelming love and adoration from the Houston culinary scene, Mala Sichuan opened a second location in Montrose, across from UnderBelly, Hay Merchant and Anvil! We both LOVE spicy food and had heard wonderful things about their craft beer selection so we were pumped to finally make it out to Mala! Pairing food with the right beer is so important. They offered a wide range of spirits that went with the spices and flavors unique to Mala Sichuan. So excited, we were! Josh had the 512 IPA and I had the Argus Ginger Perry (both Austin-brewed). We chose these specifically because we wanted something that would enhance the spice level of our dishes. Totally recommend both brews! On the table for the evening was the Red Oil Dumplings, Spicy Aromatic Chicken, Dry Pot Shrimp and the Salt & Pepper Pork Ribs. Yeah, I know, we needed to order a larger table as usual! You cannot visit Mala Sichuan without ordering the Red Oil Dumplings. They are truly perfection in all its glory! Tangy, spicy, delicately homemade dumplings, just the right amount of meat and DO NOT LET THEM TAKE THE REMAINING SAUCE FROM THE TABLE (they’ll try!). Pour that sauce on your rice…just like that! We are creatures of habit . . . a night out at a Chinese place is not complete without Spicy Chicken and Pork Ribs. 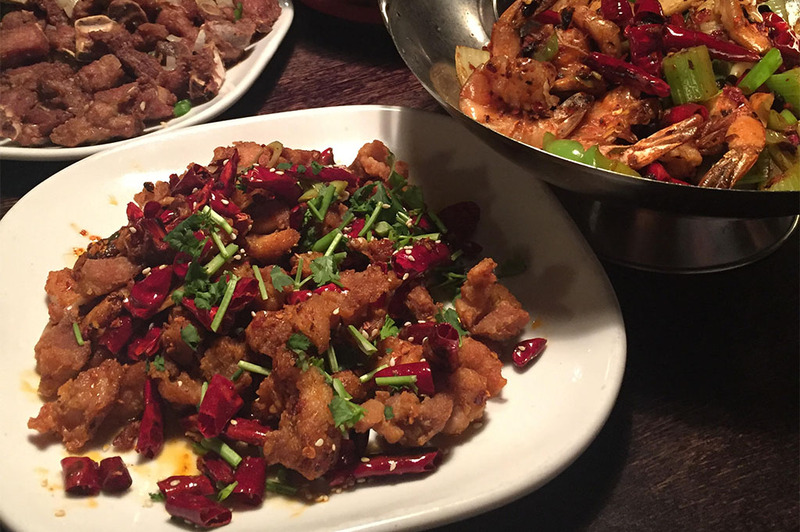 Both dishes were delicious and they seriously must go through TONS of dried chili peppers every day! Holy Chili’s! But surprisingly, the spice level was not overwhelming. Perfect heat! I ordered the Shrimp Dry Pot because I promised myself I would try something new on the menu. The idea of a “dry pot” intrigued me. The menu was very good about explaining each technique of preparation and I am glad we tried it, but will probably not order it again. Guess I’m more of a hot pot kinda gal! The décor is very Montrose, lots to take in, the colorful, floor to ceiling mural was interesting to look at, people watching was fun and we always have a great time on our #d8nites. 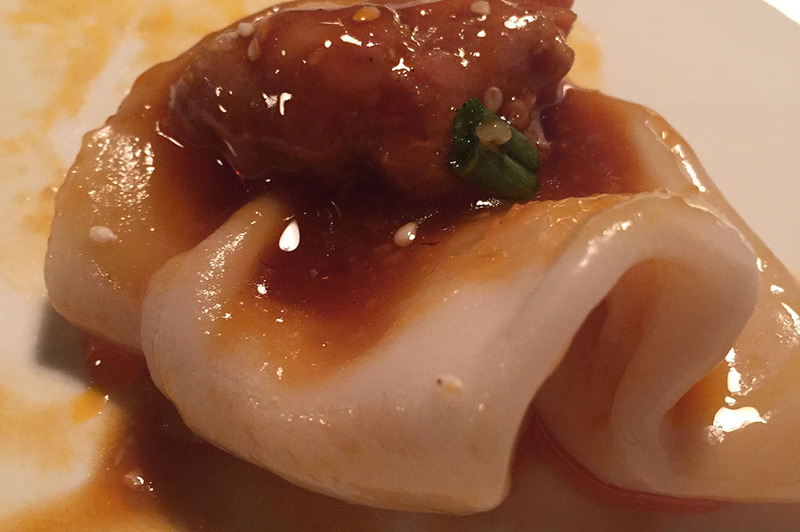 Maybe we’ll catch you next time at Mala Sichuan Montrose!